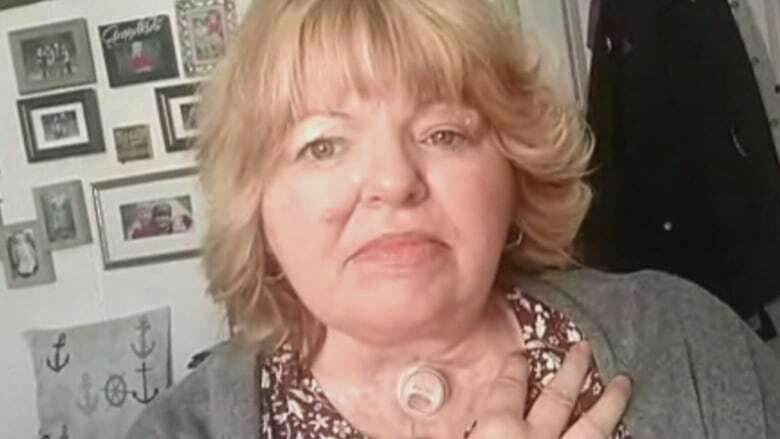 An Alberta woman who was left with physical disabilities following cancer surgery is fighting back after she was told not to return to a popular grocery store unless she brought help — because she couldn't pack her groceries fast enough. 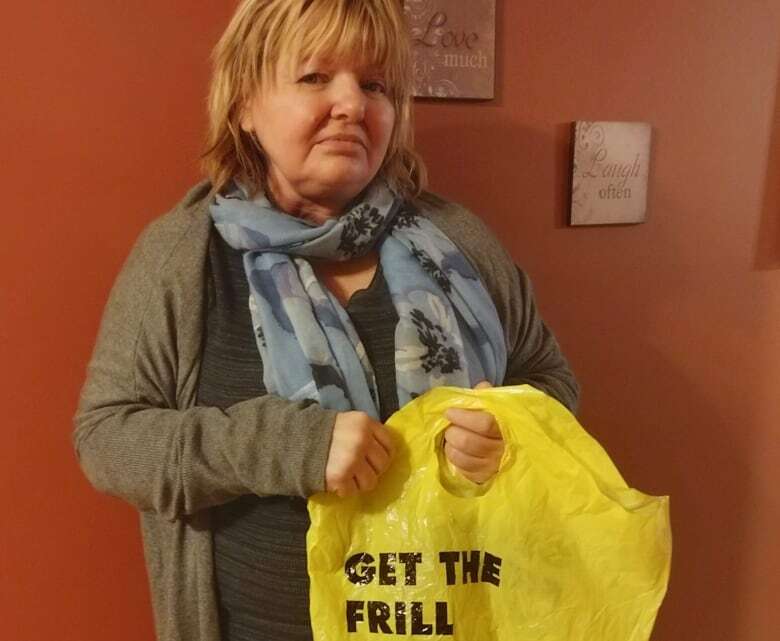 A woman with disabilities is fighting back after she was told not to return to a popular No Frills grocery store unless she brought help — because she couldn't pack her groceries fast enough. When Linda Rolston complained to head office, Loblaw offered the Alberta woman $100 in compensation on the condition she keep quiet about what happened and not take action against the company. "They can keep the $100. I'm going to tell anybody and continue with my human rights action," said Rolston, who had her voice box removed in 2014 due to cancer. The surgery left her unable to speak without a prosthesis in her throat, and with limited mobility in her shoulders and arms. David Lepofsky, a prominent advocate for people with disabilities, calls the company's compensation offer "a microscopic Band-Aid, which doesn't fix the problem." Lepofsky, who is volunteer chair of the Accessibility for Ontarians with Disabilities Act Alliance, says provinces need to set legal standards on accessibility for companies and crack down on those that fail to meet them. "It's not going to change just by raising awareness," he said. Rolston often shopped at the No Frills in Whitecourt, Alta. She says she had to "beg and plead" staff for help packing big grocery runs but was often told they were too busy. No Frills franchises are part of the Loblaw group of companies. It is the kind of grocery store where customers are required to pack their own items and in exchange, the idea is, they pay lower prices. Fed up with having to beg for help, Rolston says in January she complained to the franchise owner, who promised to fix the problem. But when she went back a few weeks later, nothing had changed, she says. As she worked to pack her items as quickly as she could, a lineup was forming behind her. That's when the owner came over, Rolston says, and told her if she can't bring someone to pack for her, she shouldn't come back. "I was stunned," she said. "I said, 'Are you telling me because I'm disabled I can't shop here?' And he said, 'Yes.' I said, 'I don't have anyone to help me and I have my prescriptions here.' He said, 'Well, you're just going to have to go somewhere else.'" Go Public contacted the owner but he declined to answer questions, calling it a "human resources thing." Rolston complained again – this time to Loblaw's head office. Customer service apologized and Rolston says she was told she could continue shopping at the store as long as she called ahead to make sure someone was available to assist her. Rolston said that didn't seem right since other customers weren't expected to do the same. "I'm an adult. I'm not going to phone to get permission to go shopping," she said in an interview. Go Public asked Loblaw specific questions about Rolston's confrontation with the No Frills owner and about Loblaw's response, including the $100 compensation offer from the company that followed. The compensation letter says Rolston must sign a release form agreeing not to talk about the case or pursue any further action in order to collect the $100. Loblaw replied with a general statement to Go Public that says it took "immediate action" when it heard what happened and addressed the issue "directly with the store owner." Spokesperson Karen Gumbs also wrote that Loblaw is "working with the store's management to ensure staff at the store receive additional training" regarding the company's customer service accessibility policy. However, Gumbs also said that policy — which promises to ensure "equal access" for people with disabilities and provide training for new staff — only applies to "corporate grocery stores," not the 257 No Frills franchises across the country. 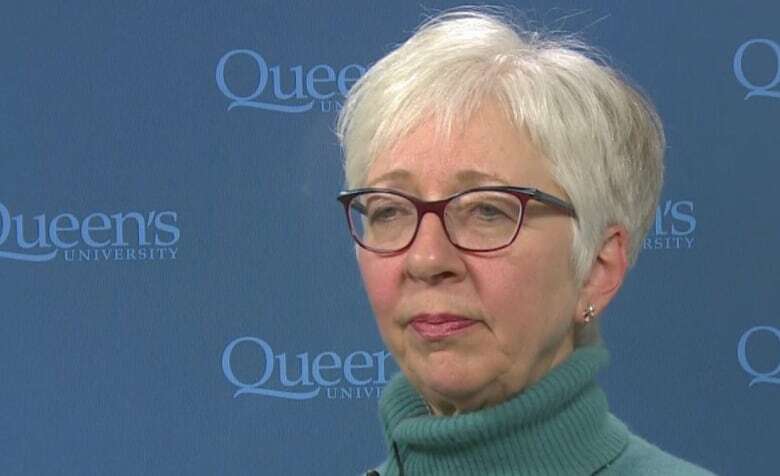 A lack of national, mandatory standards is the problem, according to Mary Ann McColl of the Canadian Disability Policy Alliance. "[Rolston] was made to feel less human than other patrons in this store," she said. Ontario, Manitoba and Nova Scotia are the only provinces with laws requiring public and private organizations to make all spaces accessible to people with disabilities. Penalties for those who don't comply can be in the hundreds of thousands of dollars. McColl says that kind of approach is what's needed in every province, because accessibility laws set the standard for organizations before problems occur. In most provinces, the only recourse is through human rights laws. While those are good, she says, they can only address individual complaints. "It's a very slow way to make change in society, one person at a time. Furthermore, there's no guarantee that if a person is successful … that there will be a structural change as a result of that." People with disabilities account for the highest number of human rights complaints in Canada. Rolston's home province of Alberta is one of those without an accessibility law. In November, the province appointed para-athlete Tony Flores as its first advocate for persons with disabilities. In an email to Go Public, Flores says he supports accessibility legislation and plans to "bring that forward to the government." He didn't say when he'll do that. Rolston says telling her story publicly was hard. "I was kind of scared for people to see me. I don't like to have my picture taken or anything, but I was so upset about this — I wanted everyone to know what they did to me." She says she won't go back to the No Frills store, and is now filling out the paperwork for a human rights complaint. While Rolston appreciates the apology she got from customer service, she is still waiting for the one she requested from the No Frills owner. Go Public is an investigative news segment on CBC-TV, radio and the web. We tell your stories and hold the powers that be accountable. We want to hear from people across the country with stories you want to make public. Submit your story ideas to gopublic@cbc.ca. Rosa Marchitelli is a national award winner for her investigative work. As co-host of the CBC News segment Go Public, she has a reputation for asking tough questions and holding companies and individuals to account. Rosa's work is seen across CBC News platforms.